The Summer is flying by! My Vacation has come to an end. I am back at work. But I had a great summer. I ended my summer with a big trip! I started in Seattle, WA for a workshop that my school sent me to. Seattle was very nice and the weather was great (cool and no rain). I went with another teacher from work and we really had a good time. I flew out of Seattle and met Brian, Ben and Stephanie in Los Angeles. We drove that night to San Diego. We spent 2 days in San Diego. It is a great city. We went to the zoo, Coronado, La Jolla, Old Town and the Sea Port Village. The next day, we went to Catalina Island. Wow! Was this place nice! It would be nice to go back and spend the whole weekend there one time. 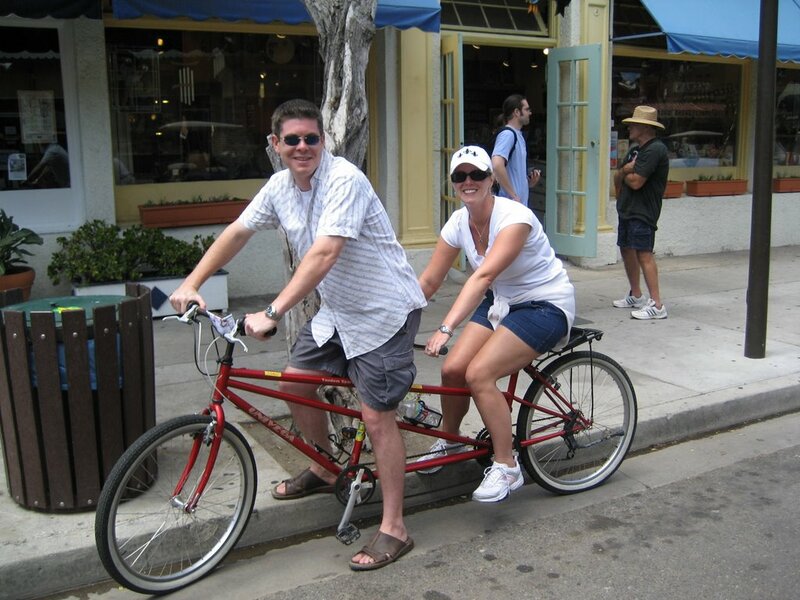 We rode tandem bikes around some of the island. This was a bit harder than we had bargained for. It took a lot of teamwork to balance the bike and to trust the person driving. Like I said, "If you want to get in a fight, rent a tandem bike!!" We didn't really "fight" too much; it just took some getting use to. We actually got much better as the day went on. We had drinks by the water and a nice sushi dinner. 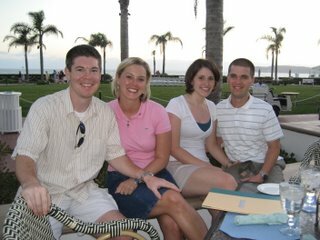 We left Catalina and drove back to LA (Anaheim) that night. 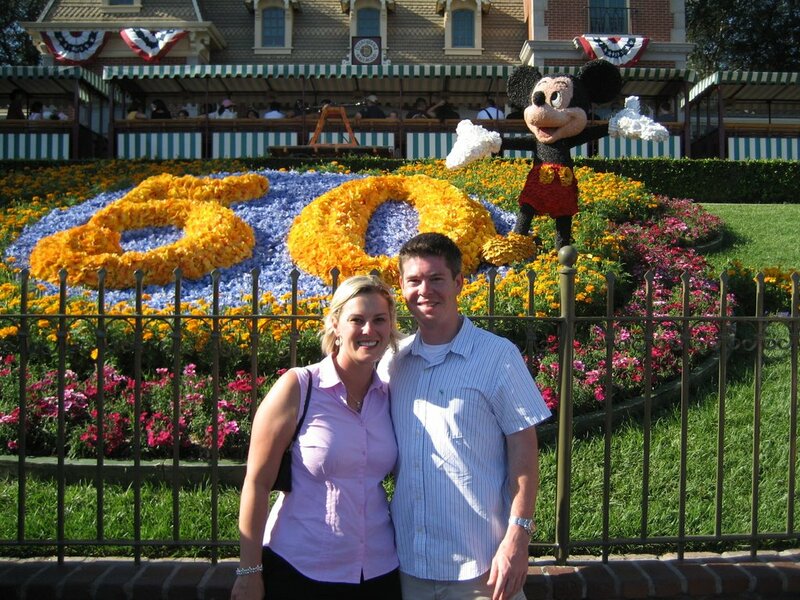 We went to Disneyland on the last day we were in California. I had never been to Disneyland. We had a great time. It is slightly different than Disneyworld. It is much smaller and much more compact; however, the weather was nice and cool and we found most of the lines were shorter. It was nice to visit the place where all the Disney magic started. We were there for a total of 14 hours! By hour 12, we were all beat! We had an awesome time! You can view all the pictures from my trips here. Hopefully this will be a good school year and I look forward to planning my next trip!! Tiffany, looks like you got your traveling bug from Grandma Georgiana. She went on more vacations than anyone else I have ever known. That is until you! Enjoy it as much as you can, while you are able. The United States has so many great places to visit. I just wish I had more time to go more places, but I am thankful for all the places Mama took me. Tiffany,you must have gotten the traveling bug from your Grandma Georgiana. She traveled more than any one I know, until you! The United States has so many wonderful interesting places to visit; see as much of it as you can, while you are able. I am very grateful Mama took me on so many great adventures.